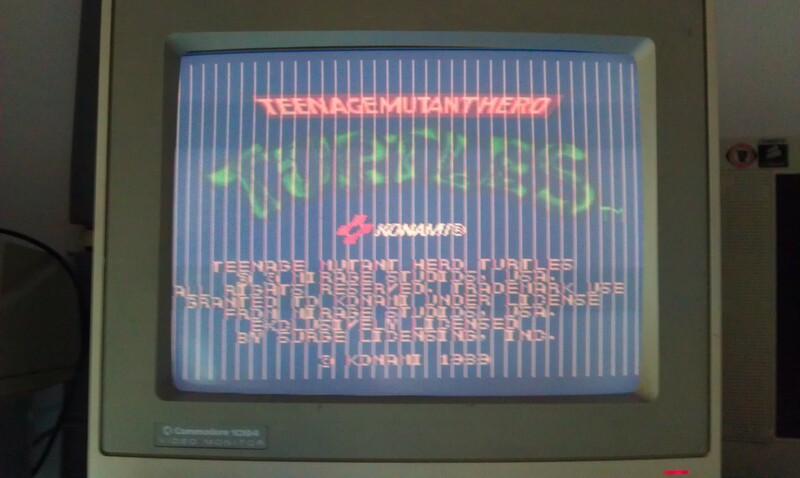 Got this from a Jamma+ forum member. Sold as having graphics problems that went away when touching one of the MASKROMs. On testing it had lines running vertical down the screen and the fault did appear to go away when touching K27 MASKROM. This however was not dry joint, it was a floating output meaning the MASK was knackered. I removed the MASKROM and programmed a replacement 27C400 EPROM. Game now works fine and all self tests pass. 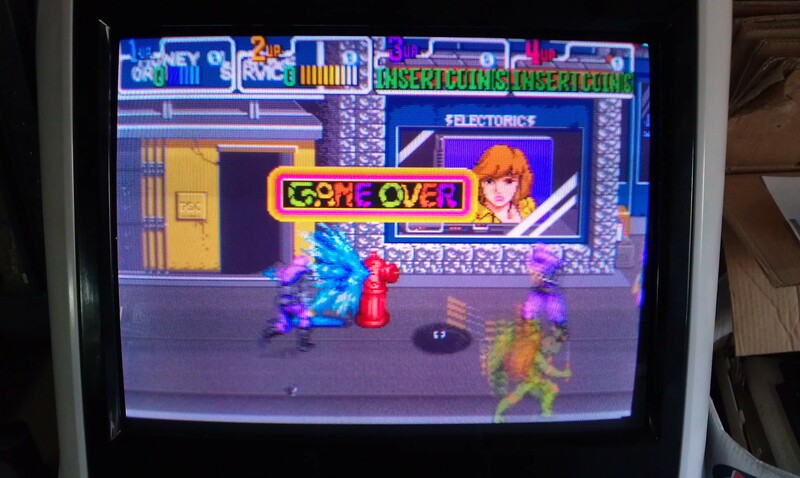 The game does appear really washed out on my test bench but plays fine in a cab. 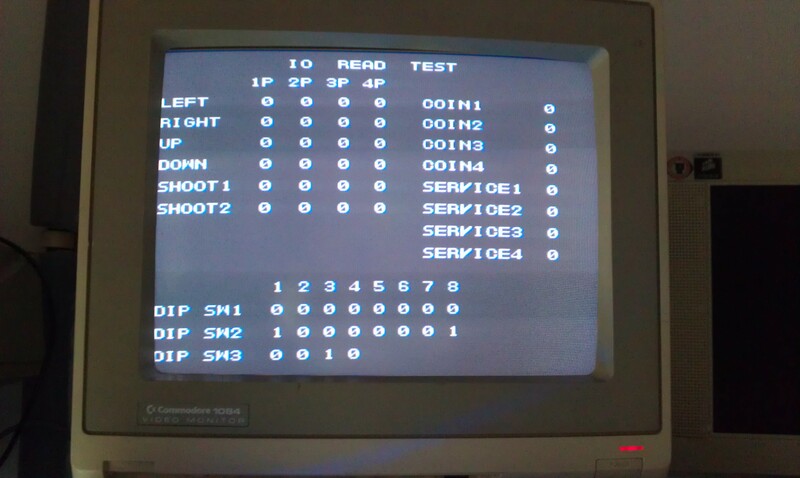 Not sure why this is but I cant actually see anything wrong with the output signals so ill ignore it for now. This board also had another fault where button 2 for players 1, 2 and 3 didn’t work. 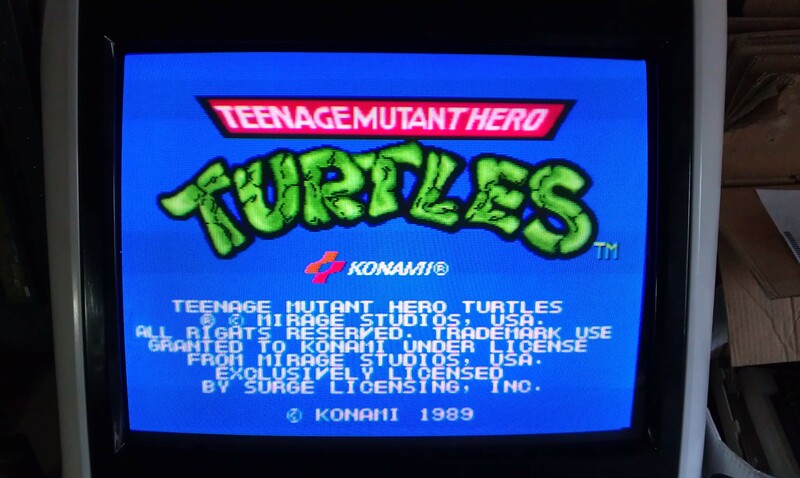 Turtles actually has an IO test within its test menu so it was easy to check all inputs. I traced the signal through a resistor network and could see the state toggling with a button press. Traced it back a bit further to a 74LS253 chip at location C26. Replaced this chip now all working again. 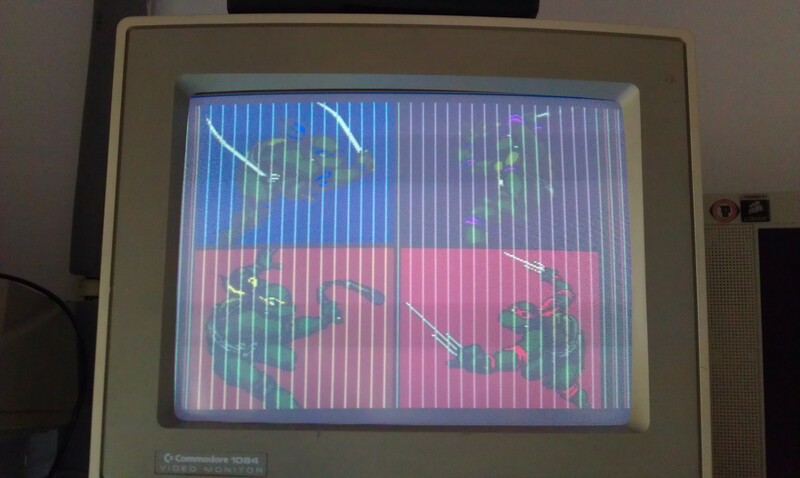 My TMNT also look washed-out in my test-rig/SuperGun, but is fine in a cab. But for the record. It seems to me, that the colours in this game is very intense…maby thats why? !